Oh what fun can be had with flat rocks collected from a beach or river bed. 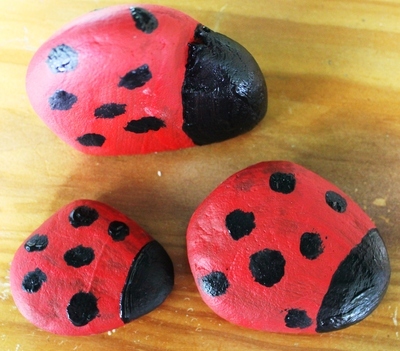 These pet rock ladybugs are super easy to make and super cute to play with or maybe give to grandma as a present. I suspect this project would also make a fun party activity and/or take home gift. Small children will enjoy playing with these after they make them - mine actually took them to bed for a few nights they loved them so much. 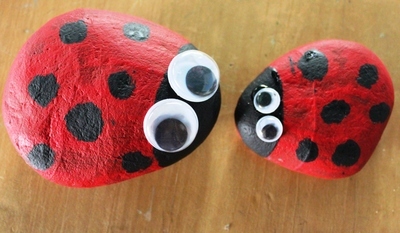 The paint and "googlie eyes" are available in any discount variety store or craft shop. 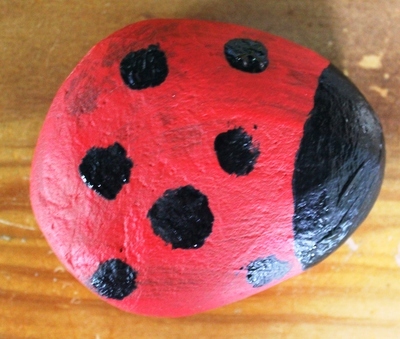 Choose a suitable flat rock next time you visit the beach or have a picnic by the river. Put on a painting smock so you don't get covered in paint. 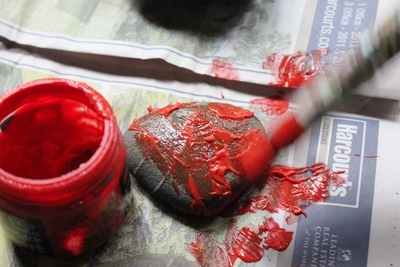 Paint your flat rock with red paint all over and wait for it to dry completely. Small children will find the waiting a little annoying but it's good for them to learn patience isn't it? Paint on a black head and some black spots wherever you like. When the black paint is completely dry, glue on your "googlie eyes" or simply cut out some white paper circles and draw on the black pupils. This will give your spotty friends a personality all of their own. 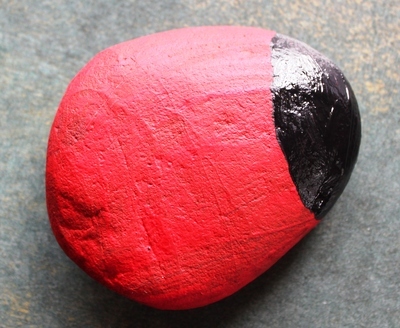 When the glue is completely dry, your pet rock ladybug is ready for action. Shout hooray and have fun.